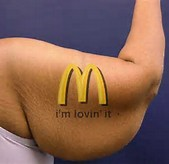 I am sure if you are aware of what you eat then this information is not of any surprise to you so just wanted to share a few links that I had consolidated in the hopes it might help those searching for info on McDonald's ingredients. http://www.amjmed.com/article/S0002-9343(13)00396-3/abstract - American Journal of Medicine analyzed content of nuggets and determined that chicken nuggets are mostly fat, and their name is a misnomer. 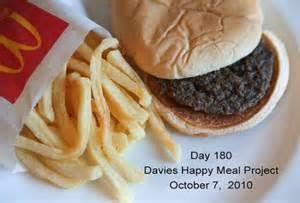 http://docakilah.wordpress.com/2012/01/25/why-mcdonalds-happy-meal-hamburgers-wont-decompose/ - Summary of why their food doesn't decompose...it is not food. The day before it closed down, October 30th 2009, Hjörtur Smárason went to McDonalds and bought a burger. Not to eat, but to keep and it was put in the original emballage on a garage shelf. Three years later he opened it again to find it looking exactly like it was when he left it. So he donated it to the national museum in Iceland where it was in storage for a year.